Alistair McGowan: Introductions to Classical Piano - Join us on 7th April at 19:30pm - 21:30pm when Alistair McGowan, impressionist, stand-up comedian, actor, writer and, latterly, pianist comes to Leeds for one night only bringing his unique and inspirational show to Besbrode Pianos intimate, Steinway showroom. Tickets for this event are available for purchase at Eventbrite. 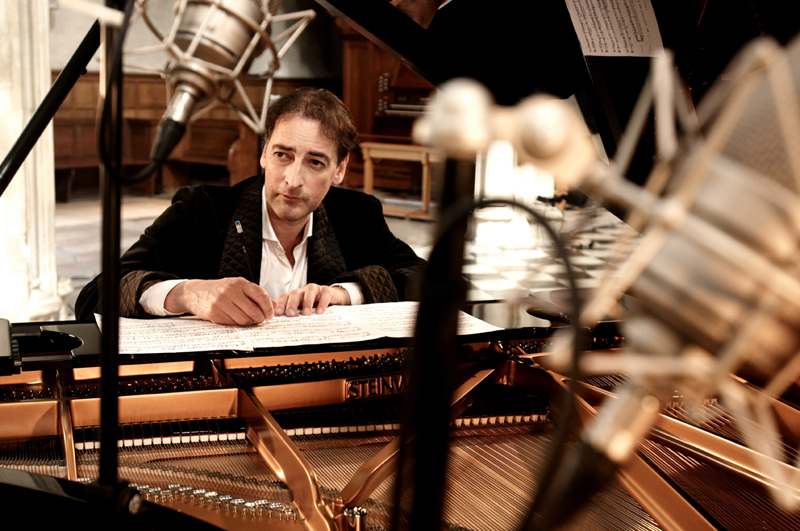 After the success of ‘The Piano Album’ (released through Sony Classical) and his first tour in 2018, Alistair McGowan is back with this hugely-popular show which brings together all his talents. Along with some classical piano pieces from his album, Alistair will also play a variety of short pieces pieces from Glass to Chopin, from Grieg to Debussy, from John Field to Bill Evans. Join Alistair as he talks a little about the history of each piece, each composer and the problems and benefits of starting to learn the piano at the age of 49. Expect a lot of beautiful music (with the odd mistake!) and more than a sprinkling of his trademark impressions. Besbrode Pianos is thrilled to welcome Alistair McGowan to its Leeds showrooms to perform his inspirational show on the final day of The Leeds Piano Festival 2019. The 2019 Leeds Piano Festival takes place between the 28th March – 7th April 2019 and is a celebration of the piano, showcasing outstanding pianists and taking the instrument out of the concert hall and into communities. The full programme of events can be found at: leedspiano.com. Besbrode Pianos offers an intimate venue experience with limited seating. If you are interested in this event we recommend booking early to avoid disappointment.